"In December 2018, the EU passenger car market declined for the fourth month in a row ... continuing the downward trend that started with the introduction of WLTP in September," ACEA said. December sales at Volkswagen Group fell 9.3 percent, with demand for premium brands Audi and Porsche dropping 20 percent and 17 percent respectively. VW brand registrations dropped 6.2 percent, while Seat was down 13 percent and down Skoda 2.7 percent. Renault registrations declined by 17 percent, with the core Renault brand falling 23 percent. Alliance partner Nissan saw a 29 percent drop. PSA Group fell by 6 percent, with Peugeot down 11 percent, Opel/Vauxhall down 5.8 percent. Citroen sales rose by 2.4 percent. Ford was down 4.8 percent. Fiat Chrysler registrations fell 2.5 percent despite a nearly 36 percent increase in sales of its Jeep SUV brand. Core Fiat brand sales dropped 9.6 percent. Sales at Toyota Group fell 10 percent, dragged down by a 11 percent drop at the Toyota brand. Download PDF here for December and 12-month sales by automaker and brand. BMW Group sales fell by 8.7 percent, with BMW brand registrations falling 11 percent. Sales at Daimler increased 8.5 percent, helped by an 11 percent rise in its premium brand Mercedes-Benz. Demand for vehicles from the Jaguar Land Rover group increased 9.7 percent, boosted by a 41 percent leap at Jaguar. Land Rover sales fell 5.7 percent. All five major markets except for Italy recorded sales contractions last month. France fell 15 percent, Germany was down 6.7 percent, the UK declined by 5.5 percent and Spain dropped 3.5 percent. Italian sales increased 2 percent. Full-year sales were flat at 15.6 million autos. Automakers are not expecting much of a reprieve in 2019. Concerns for a disorderly Brexit have gotten worse and economic growth is slowing in Germany, the region’s biggest market. 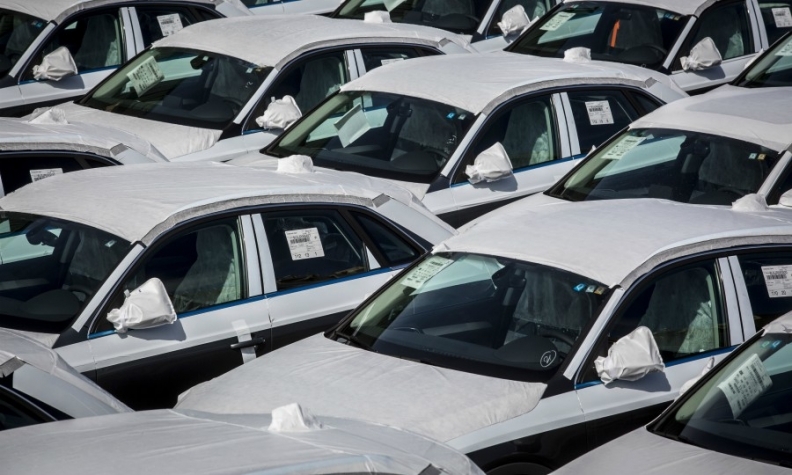 “We are increasingly cautious on the region,” Evercore ISI analyst Arndt Ellinghorst said in a note that updated an EU 2019 auto forecast to a 1 percent decline, citing weak industrial orders in Germany and eroding EU consumer confidence.